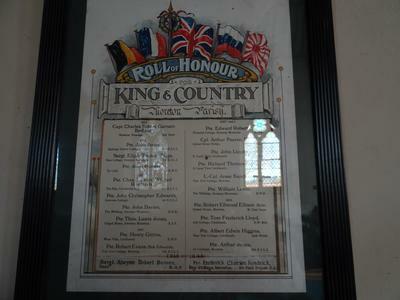 A framed rectangular roll of honour, with flags painted at the top and dedication painted in black lettering below. Information shown: Rank, forename, surname, regiment, year of death, additional. Order of information: Year of death. 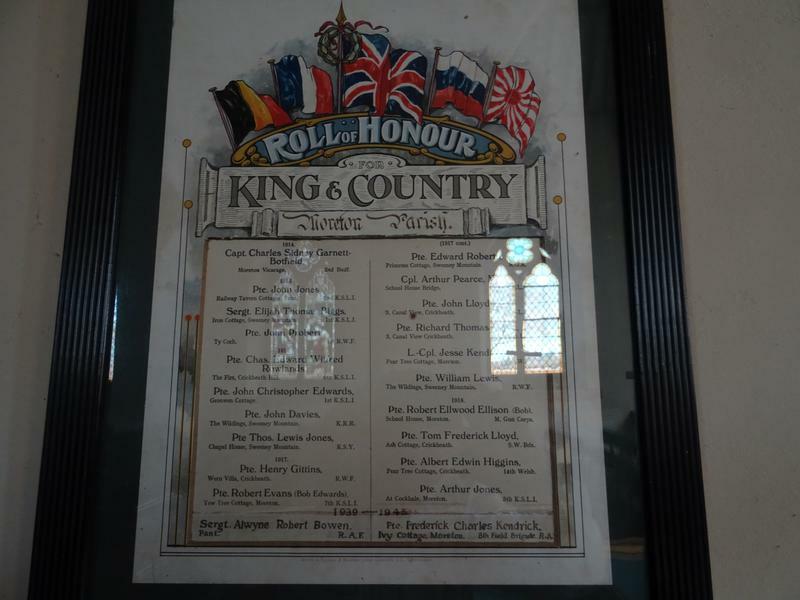 Information shown: Rank, forename, surname, regiment, additional.